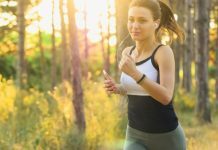 Most people who exercise on a regular basis have heard of interval training and the positive impacts it can have on the body; however, not many people have heard of the fartlek workout. Although these two terms are closely related, most people probably just throw away the fartlek training workout as something with a funny name. Though most people think fartlek is just a funny, made up word, it’s actually Swedish for “speed play”. Basically, a fartlek is a type of workout that incorporates some sprinting into your usual jogs. Jogging and sprinting are the most easily relatable types of exercises to apply to this methodology, but the same technique can be applied to basically any type of workout. 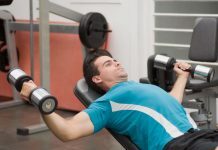 If you are lifting weights, you can switch between fast reps of lighter weights and slow reps of larger weights. If you are playing a sport, you can change the rules so that the game is sped up at certain intervals. Whatever type of workout you normally do, you should try and incorporate the fartlek because it will be able to increase the amount of positive health benefits you get from exercising. As you probably already know, interval training is when an athlete uses some kind of timed training routine to make sure they include high intensity workouts into their exercise routine. The fartleks are pretty similar to this, only that the athlete will be able to choose how intense they want their workout to be and when they will do the hard and soft workouts. Basically, a fartlek is where you can just start sprinting during a jog whenever you feel like it’s a good idea. 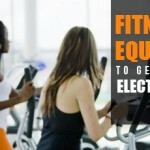 You want to try and get 60-80% of your optimal BPM (beats per minute). To determine your optimal BPM, you simply have to take your age and subtract it by 220. You need to remember to warm up and cool down when using this workout method because you still want to make sure that you don’t pick up an injury during a training session. There are basically two different ways you can decide to start fartleks. The first way is the way a novice would approach the situation, and you will basically just be picking up the intensity based on how you feel. The problem with this is that you will tend to cool down your workout the most when it would really be best to speed it up. The best solution to this is giving yourself goals to go by, and then you will have certain milestones you need to reach during your workout. With this method, it doesn’t matter if you want to stop because you will want to reach your goals. If your plan is to jog for five minutes and then sprint for one, then you should decide how many sets you are going to do in your workout before you start. You really need to push yourself over what you’re comfortable with to make any progress during your fartlek workout routine.